Israeli bulldozers continued to level private Palestinian lands in Salfit district in the central West Bank setting up infrastructure of a new Israeli settlement to be called Leshem. A Palestinian researcher who monitors settlement activities in Salfit, Khalid Maali, pointed out Tuesday that three major archeological sites were damaged as a result of construction work in the area. Khirbet al-Shajarah (Tree Hamlet), Mughur al-Shams (Sun Caves) and Deir Samaan, he said, sustained major damage. 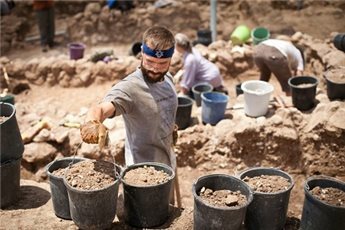 Maali highlighted that Israeli antiquities authorities carried out excavations in Khirbet al-Shajarah a few years ago “and stole antiquities.” The area contains a large number of ancient wells, walls and huge rock engravings. Mughor al-Shams, according to Maali, is a fascinating archeological site. It has ancient amphitheaters, caves and vast pools similar to Solomon’s Pools in the Bethlehem area. The location is under serious threat as the Israeli industrial zone Barkan near Ariel settlement has been expanding to the site. According to Maali, Israeli bulldozers destroyed caves and rock engravings which archeologists believe they were used for pressing grapes. As for Deir Samaan site, Maali highlighted that Israeli forces occupied it in 1973, and since then settlers have been organizing trips to the area in attempt to teach generations that it is an ancient Israeli village. These are completely false claims, he said. 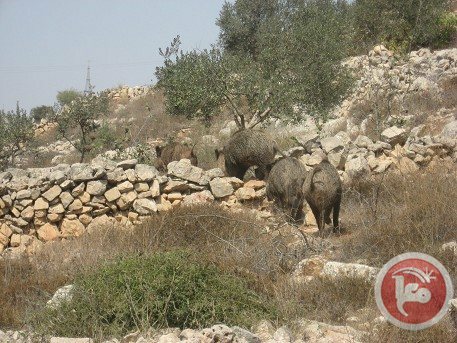 Palestinian farmers in Salfit on Tuesday accused settlers of releasing wild boars onto their land to damage their crops. Wild boars damaged a number of plum trees, fig trees, vineyards and other agricultural crops, farmers in the Wadi Shaer area of Salfit told Ma'an. Farmers accuse settlers of deliberately releasing the boars onto their land. Residents and local officials in the area have for several years complained that settlers release boars, which have caused injuries and destroy land in the rural communities. The Applied Research Institute - Jerusalem says that while Israel claims it cannot control the wild boar population in the area, and the purposeful release of pigs cannot be confirmed, Israel's separation wall has pushed the animals to search for new habitats. The Israeli military forces (IMF) closed on Tuesday morning, the northern Jordan Valley area and declared it a closed military zone under the pretext of carrying out a military maneuver . The closure coincided with deportation of dozens of citizens from their homes since the early hours of this morning in Albourj and Almeetah areas, as a result of the military orders to start of live-fire exercises. The head of the village council of Wadi Almaleh Aref Daraghmeh said, the occupation forces closed Tayaseer checkpoint and prevented students and teachers from entering the sole crossing on the road that linking the Jordan Valley with Tubas. Around one hundred Palestinians were forced to abandon their homes in two hamlets in the northern Jordan Valley to make way for Israeli military exercises on Tuesday. Walid Daraghme, a citizen in one of the hamlets, told the PIC reporter that Israeli occupation forces cordoned off the entire area and launched large-scale war maneuvers. He said that ten families composed of around 100 individuals, mostly children, were forced to abandon their homes and jobs and took their livestock to other areas to avoid IOF attacks on them if they did not. He added that their children were deprived of school. Daraghme said that the families, who have been living in these areas for decades, earned their sustenance from rearing sheep. He said that it was not rational to launch military exercises in the midst of a populated area, adding that the IOF clearly wants them to abandon their areas. He said that the maneuvers pose big dangers on lives of the families, especially children, since the army leave behind it unexploded ordnance that threaten their lives and their livestock. 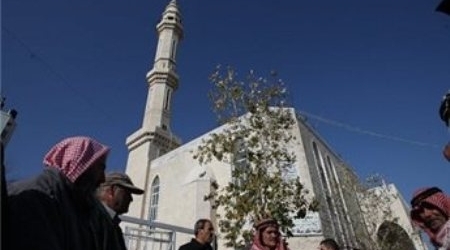 He appealed to human rights groups to visit the northern Jordan Valley and get acquainted with the inhabitants’ suffering as a result of the Israeli occupation’s practices. As part of ongoing violations against the Palestinians, living in small villagers, in the West Bank Northern Plains area, dozens of Israeli soldiers invaded Khirbit Makhoul, and demolished homes and residential structures. 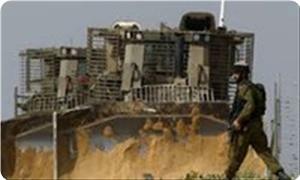 Local sources said that dozens of Israeli military jeeps, and military bulldozers, invaded the village and started demolishing its structures. The sources added that the villagers never received any notices or orders from the military, and never had the chance to legally challenge the Israeli decision. The Palestinian News & Info Agency WAFA, has reported that the Israeli military attack led to the displacement of more than 120 persons. He added that this attack is not the first of its kind against the village and its inhabitants. WAFA added that the soldiers declared the village a closed military zone, and preventing journalists and residents from entering or leaving it. The small village is located between a number of illegal Israeli settlement, and an Israeli army base. Around 70,000 Arab Bedouin – whose presence in the Negev dates to the seventh century – live in 35 villages that either predate the establishment of the state of Israel in 1948, or that were built in the 1950s under Israeli military orders. Israeli occupation forces (IOF) forced members of ten Bedouin families in the Jordan Valley to evacuate their homes in preparation for war maneuvers. 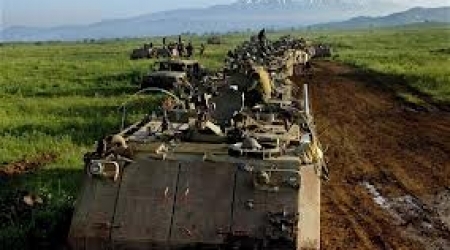 Local sources said that IOF soldiers stormed the Burj and Mayta areas in Malih in the Jordan Valley and served notifications to ten families to evacuate their homes at the pretext of staging military maneuvers on Tuesday. The families, however, said that the matter was not related to preserving their lives and property but rather was part of an IOF plan to compel them to desert their land. On the eve of August 31, roughly 600 protesters gathered in downtown Tel Aviv to protest the Prawer Plan, a law that would mandate the forced relocation of centuries-old Bedouin tribes in order to impose "order" in Israel's Naqab (Negev in Hebrew) desert. If passed, the plan will allow the Jewish National Fund (JNF) to take over the lands and begin "forestation" and Judaization. Though the law has yet to pass its final two readings, the Israeli Land Administration (ILA) and the state police forces have already begun implementing forced evictions and demolishing villages. Palestinian Bedouins protested that night alongside other 1948 Palestinian and Jewish activists from Tsedek Hevrati (Social Justice) of Hadash, a joint Jewish-Arab party. Among those present was Sheikh Sayah of the Al Araqib village, who had just been released from the Rahat detention center a couple days prior, along with his two sons and cousin. The four had been arrested without charges, and the terms of their release were that they abide by a restraining order barring them from their village. They refused to sign the agreement, however, and said they wished instead to stay in custody. After four days, they were forcibly released under those terms. "What reason did they have to keep me and my sons from our village?" said Sheikh Sayah to a reporter at the demonstration. "I ask, but I know the answer. They want to set a precedent with this restraining order. But I did not accept this." So they returned to the police station and demanded to be rearrested. When they were refused, they decided to camp outside the station for three days and nights. Finally, the court issued a reversal of the restraining order. SINCE 2010, the Israeli government has demolished the village of Al Araqib more than 56 times, three times in the last 10 days of August alone. Refusing to leave their land, the inhabitants continue to return and rebuild the village and are currently occupying its graveyard. The Bedouin families of Al Arakib claim ownership of roughly 4,600 acres of land, and they hold deeds dating back to 1906. According to the ILA, the land had been abandoned in the 1950s. Later, it offered to rent the land back to the Bedouins for 2 NIS per dunam (equivalent to about $.56 for roughly a quarter of an acre), which would amount today to more than $10,000 a year, a sum not feasible for a Bedouin tribe in Israel. In 1998, the ILA offered the land to the JNF, which has a specific mandate to develop and lease land only to Jews. In 2000, an Israeli court order banned the Bedouins from entering their land, but the ruling was disregarded, as Bedouins continued to move back into the village and plant trees. 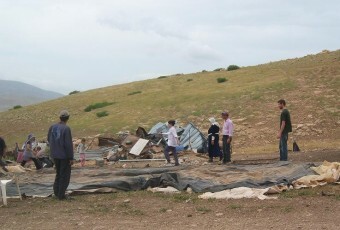 The ILA went so far as to destroy the Bedouins' agricultural plots by using crop dusters to fumigate their wheat fields. In July 2010, ILA inspectors and 1,300 police officers in full riot gear entered the village, demolishing 46 buildings and uprooting 850 olive, citrus and almond trees. Witnesses said they were accompanied by "busloads of cheering [Jewish] civilians." Men, women and children were carried from their homes, which were then demolished. Special forces troops surrounded the area, as helicopters hovered overhead. The village chicken coop was flattened with all the chickens in it. The Bedouins have since collected evidence of the many demolitions, including rubber bullets, tear gas canisters and spent stun grenades. Many of the children suffer from post-traumatic stress disorder. Palestinians believe that planting a tree connects them to their land. After Israel's ethnic cleansing of Palestine in 1948, many Palestinian villages were covered over with pine trees by the JNF. They uprooted hundreds of olive trees, sometimes planting their own orchards in their place. Today, the same war of trees is still being waged. Environmental protection specialists, both foreign and Israeli, have contended that the JNF's forestation causes serious and irreparable damage to the natural landscape. Invasive trees like these can be seen elsewhere. Non-local pine trees are common in settlements in the West Bank and around Jerusalem; hundreds of saplings, sometimes simply planted in barrels, surround fields that Palestinian farmers are forbidden to enter. These trees are designed to ensure Jewish Israeli control. THE OFFICIAL Israeli reasoning behind the Prawer plan is that "development" of the region will provide an opportunity to provide the Bedouin population with better education, health care and infrastructure, such as electricity. "We are determined to narrow the gap," said Mark Regev, a spokesperson for Prime Minister Benjamin Netanyahu's office. "They are citizens of Israel and are entitled to all the opportunities associated with being citizens." We are a nation state, which means that the overall sovereignty of the country is reserved for the Jewish people...Today, an international campaign is being waged against the definition of Israel as a Jewish state...[If] in the Negev [the Hebrew name for the Naqab desert], for example, if it becomes a region without a Jewish majority...[this] constitutes a real threat. And of course, Netanyahu has no intention of addressing the impoverishment that Bedouins face. 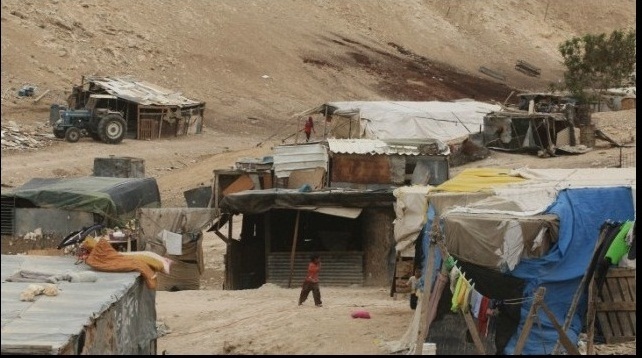 The new state registration policy will in fact relocate the Bedouins in the slums of the Naqab's "development" towns, exacerbating their desperate conditions. Under the Prawer Plan, an estimated 50,000 Palestinians will be forced to leave their homes and grazing lands. Some 35 villages will be demolished. In exchange for the roughly 800,000 dunams of land that will be expropriated (roughly 198,000 acres), the Bedouins will receive compensation for up to 50 percent of the land they lay claim to and land equal to about 1 percent of the sum total of that land. Additionally, under the new law, there will be no court venue through which to appeal eviction. And those who do not claim their compensation and agree to the terms within the first six months of the plan's implementation will lose all rights to reparations. Despite the JNF's insistence that the plans are beneficial to the Bedouins and that they are working with the tribes, no Bedouins were involved in the planning or the drafting of the Prawer Plan. According to Rabbis for Human Rights, the Prawer Plan is intended to clear the way for a collaboration between the American consulting firm McKinsey & Company and the JNF-USA headed by right-wing billionaire Ron Lauder. Entitled Blueprint Negev, the new Jewish settlement plans are being developed by the JNF in conjunction with Or–National Missions, an organization whose purpose is the Judaiztion of the Naqab and the Galilee valley. 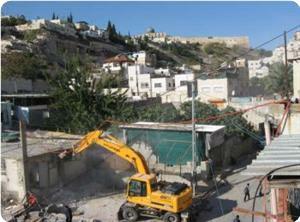 THOUGH THE Prawer Plan still needs to pass two more readings in parliament to become law, evictions are already underway. This is likely because under the terms of the law, land expropriated prior to the law's implementation will not be eligible for compensation. Additionally the tribes must also have an Original Ownership Claim filed between 1971 and 1979 and approved by the ILA to be eligible for compensation. In the case of Al Araqib, the village was in fact approved in 1973, but only for the two tents that were erected at the time. The founding of Al Araqib followed a series of forced expulsions of Bedouins in the 1950s, 60s and 70s. Since then, the tribe managed to rebuild the village, and the population itself has naturally grown. Furthermore, any land with a slope of 13 percent or greater is automatically expropriated. In order to irrigate in the dry desert climate, slopes are essential because the rain rarely reaches the low points under such hot conditions. Palestinian agriculture is based on creating layered "terraces" along the hills so that the rainwater can be utilized from top to bottom. While Bedouins must work very hard to prove their claims, and their forcible removal from the Naqab enters full swing, Jewish ranchers are encouraged to settle down in the desert. Titled the "Wine Route Plan," Israel's parliament passed a law only a few years ago allowing the allocation of land to private Jewish ranches, [PDF] most of which already existed. These ranches and small settlements are a relatively new phenomenon. They have no deeds or original claims from the 1970s. The Bedouins of Israel are standing up for their elementary rights. But they are facing a powerful coalition of both state authorities and non-state players, including the JNF and the security forces, private corporations and settlers. As the protesters marched through the streets of Tel Aviv, Sheikh Sayah turned to me and said, "You see, there will be peace when there is justice. And there will be justice when your son and my son feel that they are equal, that they are part of one community, one tribe." 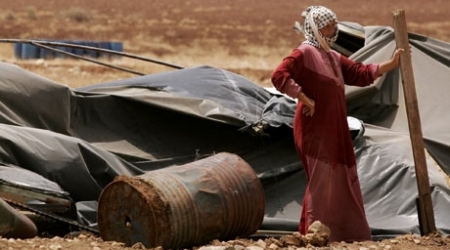 Wind caused by landing Israeli military helicopters Thursday blew away three Palestinian canvas tents used as homes in an area in the Jordan Valley, according to witnesses. They said the Israeli helicopters landed in the middle of an area where Palestinian herders reside causing three tents to be blown away due to the wind caused by the helicopter blades, displacing three families who were left without shelter. Head of the village council Aref Daraghmeh said that "the tents destroyed are located near of the Tayaseer barrier near the eastern slopes, pointing out that many Israeli army recruits have landed overnight,"
Palestinians living in northern Jordan Valley area have been long subject to regular attacks by the Israeli occupation forces. Daraghmeh told earlier Wafa Agency that (Israel) does not want any Palestinian in this area and repeatedly tries to force them to relocate by demolishing their homes and shelters. 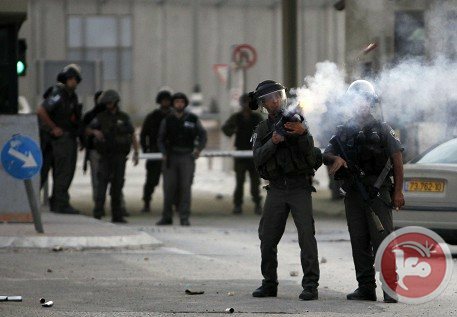 Dozens of Israeli soldiers invaded several areas in the northern West bank city of Jenin, kidnapped five Palestinians, and confiscated computers and tractors. Soldiers also demolished a building and structures. Local sources have reported that the soldiers invaded an agricultural company in Sier village, and kidnapped two Palestinians identified as Adi Daraghma and Mohammad Al-Keelany. Soldiers also confiscated two tractors and several computers that belong to the company; excessive damage has been reported as the soldiers violently broke into and searched the property. Furthermore, soldiers kidnapped Majdi Sheikh after breaking into his home in Kufur Ra’ey village, near Jenin, and took him to an unknown destination. On Wednesday evening, soldiers stationed at the Huwwara roadblock, near Nablus, kidnapped two residents identified as Anas Sukkar, from Sielet Ath-Thaher village, and Mohammad Yousef Kamil, from Qabatia. Both are students of the An-Najah University in Nablus. 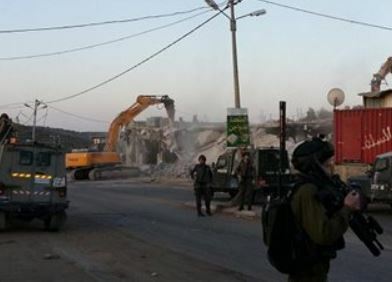 Earlier on Wednesday, dozens of soldiers invaded Barta’a Ash-Sharqiyya village, south west of Jenin, and demolished a building located behind the Annexation Wall. Dozens of residents have been treated for the effects of teargas inhalation during clashes that took place between the residents and the invading soldiers. Furthermore, soldiers demolished a recently built commercial building in the village. The building belongs to resident Hamza Ibrahim Qabha. The 600-meter building included ten stores. Soldiers also demolished a garage, and a shed used for storing construction concrete blocks that belong to resident Mohammad Ibrahim Qabha, and a car repair shop that belong to resident Samer Rabah. Local sources have reported that the soldiers completely surrounded the village, and declared it a closed military zone. The sources added that dozens of local youths hurled stones at the invading soldiers, and that the army fired rounds of live ammunition, rubber-coated metal bullets, gas bombs and concussion grenades. Dozens of residents have been treated for the effects of teargas inhalation. 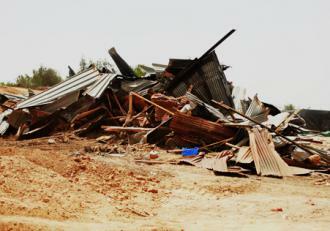 A month ago, soldiers handed orders against twenty stores in the village, and demolished eleven of them so far. 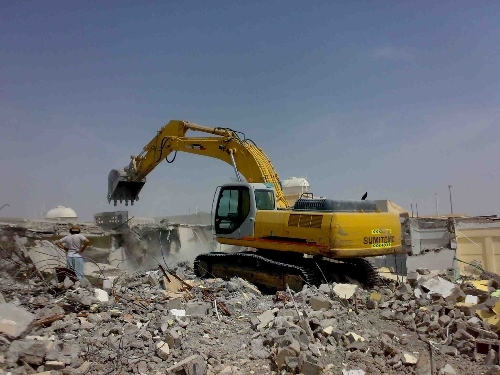 The Israeli occupation forces (IOF) demolished on Thursday morning a commercial complex and two garages in the industrial zone of Barta'a town after declaring it a closed military zone. Eyewitnesses told the Palestinian information center (PIC) that a number of Israeli bulldozers and military vehicles stormed at about 05:30 in the morning the town, which is located behind the segregation wall to the southwest of Jenin. Israeli bulldozers started on Wednesday morning demolishing five huts and eight houses in Zaeem neighborhood in East Jerusalem, and a house in Arara in the 1948 occupied territories. Malik al-Saidi, one of the owners of the demolished houses in Zaeem neighborhood, said that the Israeli police imposed a security cordon on the district and begun demolishing the huts and bulldozing the agricultural lands. Saidi pointed that the huts were inhabited by 80 people, adding that the family for two years has been trying to get a license, but the occupation authorities continued to procrastinate. Meanwhile, the occupation bulldozers demolished a house still under construction in the village of Arara in the 1948 occupied territories, under the pretext of illegal construction. Website of Arabs 48 reported that enhanced police forces and special units surrounded the Mansoura neighborhood adjacent to the village after closing all the entrances to prevent the residents from approaching the place, then demolished the house. Mansoura District, near the village of Arara, includes 8 houses built 50 years ago. Israeli bulldozers on Wednesday morning raided al-Zaayyem village in East Jerusalem and demolished steel structures used as houses sheep and poultry barns. 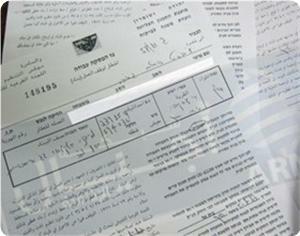 The Israelis claim the structures were built without licenses. “Families were surprised with Israeli military vehicles storming a tract of land where ten Palestinian households live in steel structures and use ten other structures as barns. The soldiers started to empty the structures and demolish them,” says Abu Mousa As-Saedi, one of the owners. The Israelis, he added, have not make clear how many structures will be demolished. About 100 people lived in the steel structures, a majority of whom are children, he added. Al-Saedi noted that some of the structures were built 20 years ago, and the rest were built 10 years ago. 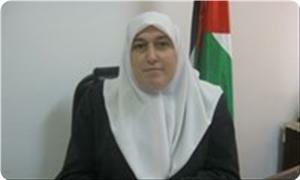 A member of a local follow-up committee in Eisawiya Muhammad Abu al-Hummus confirmed the land belonged to the town. He highlighted that the area was slated for confiscation for the benefit of E1 settlement project which Israel announced in 1994. The project, he said, includes an industrial zone, residential houses and hotels to be built on 12,443 dunams of Palestinian land of al-Tur, Anata, Eizariyya and Abu Dis villages. Israeli Supreme Court on Tuesday decided to defer consideration of the issue of the applicability of the Absentee Property Law, which has been used to take over Palestinian land, in occupied East Jerusalem. Lawyer Suhad Bishara from Adalah center for Palestinian rights and lawyer Avigdor Feldman raised the problematic implications associated with the application of the law in occupied East Jerusalem. Additionally, the attorneys emphasized that applying the law to the occupied territory violates the International Humanitarian Law. The two lawyers also pointed that the Israeli domestic law was legislated in the political context of 1950, and declared that it could never apply on lands occupied in 1967 and to confiscate properties belonging to residents that are protected civilians under international law. In addition, the attorneys stated that the state does not apply the Absentee Property Law to the properties of settlers in the West Bank, and thus, its exclusive application to the properties of Palestinians constitutes unlawful discrimination. The court, presided over by Supreme Court President Asher D. Grunis, asked all of the parties to provide legal opinions on its suggestion to declare the law’s application in east Jerusalem unconstitutional, and to give their own ideas on whether this decision should be applied retroactively or only prospectively. Adalah will provide its legal opinion on this subject in the coming week. Adalah had requested permission to join the case as an amicus curie for the purpose of legal argument. In an opinion presented to the Court, Adalah argued that the opinion of Attorney General Weinstein to apply the Absentee Property Law to East Jeruslem changes the existing decades-long status quo that has been supported by successive attorney generals since 1967, whereupon the law does not apply to the East Jerusalem properties of Palestinian residents of the West Bank. Israeli bulldozers Wednesday demolished 10 residential metal sheds that housed eight Bedouin families, in addition to 10 others used as animal barns in the village of Zyyim, east of Jerusalem, under the pretext of being built without permit, according to one of the owners. Mohammad Saidi told WAFA that forces surrounded the area since the early morning hours and then proceeded to demolish the sheds, displacing almost 35 people, mostly children. He said that forces handed them notices to evacuate the land for the benefit of expanding the settlement of Ma'ale Adumim as part of the E1 settlement plan in and around occupied East Jerusalem. Head of Zyyim village council affirmed the residents' ownership of the land. Israeli bulldozers demolished four homes in the village of Ezayem, east of occupied al-Quds and postponed the demolition of four other homes in the same area till Sunday. Nayef Esayed, one of the houses owners, told PNN that Israeli forces raided his house along with houses belonging to his three brothers in the morning and asked them to evacuate them, under the pretext that demolition orders were issued against them. He said that the occupation forces refused to hand them the demolition orders before proceeding with the demolition process, stressing that they were intending to demolish eight houses. They asked an Israeli officer not to demolish the remaining houses and the officer agreed, postponing the demolition till Sunday. Esayed added, "We are steadfast on our land and will not leave it, even if the occupation demolishes our homes a thousand times," and he called on Palestinian officials to stand by them. The Israeli authorities Wednesday notified residents of the town of Yatta that they should remove the fence put up around a natural reserve in the area, according to a local activist. 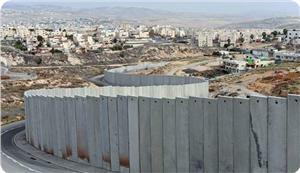 The Popular Committee Coordinator in Yatta, Rateb al-Jabour, told WAFA that forces told the residents to remove the fence funded by the United Nations Food and Agriculture Organization (FAO) and located in an area between three villages threatened with displacement by the Israeli authorities. Forces constantly target the residents in that area in an attempt to force them to leave as a prelude to taking over the area. Israeli occupation forces notified on Wednesday to remove natural reserve and confiscate its barbed wire funded by UN Food and Agriculture Organization (FAO), in Musafer area east of Yatta, in the south of al-Khalil in the occupied West Bank.Rateb Jabour Chairman of the Popular Committee against the wall and settlements, told PIC's correspondent "the occupation administration notified to deport the residents of the villages of al-Fakhit, Halawa and Janba, located within the eight villages notified with displacement by the Israeli army to be used for military purposes." He added the occupation also notified the residents to remove the fence of the natural reserve funded by the United Nations Food and Agriculture Organization (FAO) in the area of Um Sarara located between the three villages threatened with displacement.